The movement of crude oil through the Great Lakes basin and other critical northern watersheds presents a complex suite of opportunities and risks for the region. The Crude Move research and extension program began in 2014 with a commitment from the Great Lakes Sea Grant directors to better understand these vital issues, which present a “wicked problem” for the economic and environmental well-being of the region. The goal of this program is to provide stakeholders with resources on economic and environmental issues associated with transportation of crude oil in the Laurentian-Great Lakes basin and to create a forum for them to share knowledge, concerns, challenges, and progress. To accomplish this goal, members of the Great Lakes Sea Grant Network partnered with the Great Lakes Commission and the International Joint Commission in 2015 to amplify their individual efforts toward understanding these vital issues. In June 2017, the organizations hosted the Crude Move Symposium, which featured presentations on Great Lakes-focused research topics related to crude oil transportation, infrastructure, economics, hazards, and risks. In conjunction with the symposium, a series of 4 webinars were hosted and this website was created as a repository for information and resources on Great Lakes crude oil transport. Use the links below to explore further or scroll down for more information about the members of the Great Lakes Sea Grant Crude Oil Transport Team. 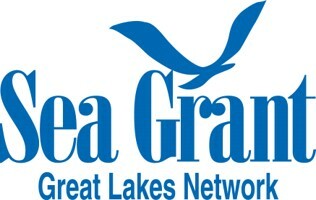 The Great Lakes Sea Grant Network is a regional subset of the National Sea Grant College Program. Each Sea Grant program represents a unique partnership between a state university and the National Oceanic and Atmospheric Administration (NOAA). Through its extension education program and use of engaging communication techniques, the network plays a central role in supplying the Great Lakes region with usable solutions to pressing problems and providing the information needed to better manage Great Lakes resources for present and future generations. Since it was established in 1955 by the Great Lakes Basin Compact, the Great Lakes Commission has worked with its member states and provinces to address issues of common concern, develop shared solutions and collectively advance an agenda to protect and enhance the Great Lakes region’s economic prosperity and environmental health. 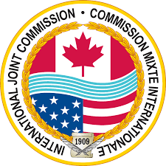 The International Joint Commission prevents and resolves disputes between the United States of America and Canada under the 1909 Boundary Waters Treaty and Great Lakes Water Quality Agreement, pursuing the common good of both countries as an independent and objective advisor to the two governments. The IJC’s recommendations and decisions take into account the needs of a wide range of water uses, including drinking water, commercial shipping, hydroelectric power generation, agriculture, ecosystem health, industry, fishing, recreational boating and shoreline property.